What issues can incorrect paper storage cause? Regardless of the type of printer you are using, humidity affects paper. While paper is naturally very dry (digital printer paper contains just 4-5% moisture), laser printers and copiers require the use of higher quality paper that is dryer than regular paper. 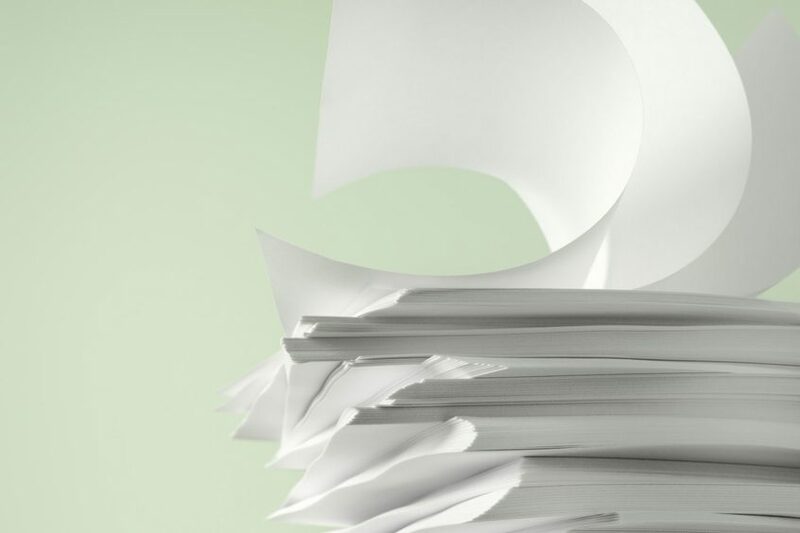 Storing paper in a high humidity environment, dampens the paper. If damp paper is used in a laser printer, moisture is released when it passes through the hot fuser, which can cause jams as well as diminished print quality. On the other hand, air that is too dry can further dry out the paper which makes it prone to static electricity, also causing it to jam. Therefore, the selection and appropriate storage of paper is not only essential for print quality but will save you time and money. So, how should I store my paper? It is best to store paper off the ground in an area that is at a similar temperature to where you keep your copier. Paper also needs to be stored perfectly flat, so it does not get curved or bent in any way. The best place for paper storage is in the cabinet at the bottom of your copier unit or a cabinet close to the machine. Also, because many paper wrappers are treated with moisture blocking coatings, storing your paper in its ream wrapper until you need to print on it can also help.